A perfect Wedding Reception means great food, but nowadays everyone has a preference or some type of dietary restriction so here’s how to ensure all your guests feel satisfied. 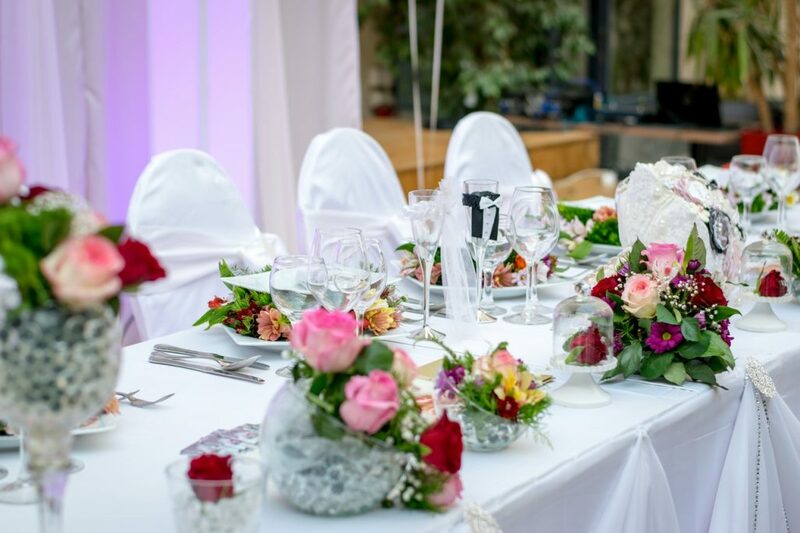 Fortunately most reputable caterers and wedding venues are well suited to accommodate most guests dietary requests and will know how to handle things such as food allergies, gluten intolerance, vegetarian or vegan diets without any additional cost or stress to the Bride & Groom. Here are our top tips for aiding you in the process and making this stage of your wedding planning as simple as possible! Add a special place for restrictions on the RSVP card – many guests will appreciate the gesture. However, make sure they are aware that it’s for serious issues only and not purely personal preferences. You can’t be expected to customize everyone’s meal! Before you book your caterer make sure they have experience dealing with dietary restrictions. You know your crowd the best, so if you anticipate a number of special requests make sure your caterer can handle it. Communication is essential here to avoid unnecessary stress. A good caterer should be accustomed to making special accommodations – a fantastic caterer will prepare a a curated menu for your guests and provide suggestions so you won’t feel that you are compromising in any way. Ideally someone’s dietary restrictions should not put you out too much and your wedding venue/ caterer should be able to accommodate requests at no additional costs. However, beware how far you are willing to go to accomodate everyone’s requests and put a limit on costs if any. 1. Make sure everything is clearly labelled to prevent mix-ups. Any items which commonly cause a reaction (think nuts or cheese)should be identified. 2.Create a separate section or buffet table for guests with allergies and if necessary serve guests with restrictions before the main dinner. Is a gluten-free cake an option for you? Anything is possible but if not talk to your baker to see if they are able to throw something else in to accommodate your guests such as gluten free cupcakes! If you have followed the tips above and a guest is still not happy there is nothing else that can be done. Do what you need to do before hand but on your Wedding Day put your worries aside and relax. Remember it’s not your problem if a guest doesn’t like the food served. It’s your wedding after all so enjoy it! Posted in Wedding tips on July 13, 2018.